It's time for a new round of hero reworks! As one of the oldest kits in the game, players have requested a tune-up for James Raynor a very long time, and now we're getting it. In addition, Azmodan has likewise been in need for some love for a little while. Both heroes are getting a major overhaul with the next update which is expected to go live during the week of July 10th. InvenGlobal had an article up for a short while with the full list of changes for both heroes. It was taken down again for unknown reasons, but Google sees everything and managed to cache the page. Cooldown from 10 to 12 seconds. New functionality: Reset your Basic Attack. You and all nearby Minions and Mercenaries gain 30% Attack Speed and 10% Movement Speed for 4 seconds. (New) Rallying Cry (W): Increase the duration of Inspire by 1 second. All nearby Heroes gain 10% movement and attack speed for the duration. (New) Giddy-Up (W): Gain 10% movement and Mount Speed permanently. Increase Inspire’s Movement Speed bonus to 20%. (New) Indomitable Resolve (R1): Acquire Weak Spot attacks against Heroes lower the cooldown of Hyperion by 5 seconds. Casting Inspire grants 2 seconds of Unstoppable. (New) Dusk Wing (R2): Banshee Health, Damage, and leash range are increased by 100%. When killed, Inspire and Adrenaline Rush are activated for free. Hitting Heroes and killing minions within 1.5 seconds of being hit by Globe grants 2 stacks of Annihilation. Each stack of Annihilation increases Globes’ damage by 1, up to 400. Warning splat is now created earlier in the ability cast. Channel for up to 2.5 seconds on a target, dealing damage every second. If the channel lasts its full duration, deal additional damage to the target. Azmodan moves at 60% speed while channeling. Cooldown increased from 6 -> 8 seconds. Mana cost changed from 12/sec to 30 flat mana. Can now be cast on the mini-map and has a small slop range. Spawn a Demon Lieutenant at any friendly minion, merc, or Azmodan Summon for 20 seconds. The Lieutenant will cast Demonic Smite at a random nearby minion every 7 seconds, instantly killing them. Lasts 20 seconds. Can be used while channeling All Shall Burn. 60 Second cooldown. Calls down 8 Demon Grunts in a circle around the targeted location, dealing damage to enemies in each impact zone. Demon Grunts last for up to 8 seconds and explode when they die, dealing damage to nearby enemies. Activate to cause your next Globe of Annihilation to cost no Mana and deal 50% more damage. 30-second cooldown. (New) Greed (Q): Increases the timeframe that minion kills will grant Annihilation from 1.5 to 3 seconds. After gaining 200 stacks of Annihilation, Globe of Annihilation deals 20% increased damage to minions and mercs. (New) Wrath (Q): Basic Attacks against Heroes under 75% health grant 1 stack of Annihilation. After gaining 200 stacks of Annihilation, Heroes hit by Globe of Annihilation take additional damage from your next Basic Attack equal to your Annihilation stacks. Lasts 4 seconds. Army of Hell (W): New Functionality: Summon Demon Warrior summons an additional Warrior but its cooldown is increased by 10 seconds. Hellforged Armor (W): (Moved from Level 13) New Functionality: Demon Warriors and Lieutenants gain 35 armor and last 4 seconds longer. Battleborn (Passive): (Moved from Level 16) New Functionality: Basic Attacks reduce the cooldown of Summon Demon Warrior by .5 seconds and Demon Lieutenant by 1 second. 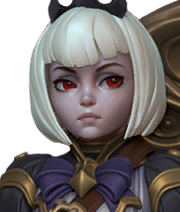 (New) Art of Chaos (Q): If Globe of Annihilation hits 2 or more Heroes, 25 mana cost is refunded. If it hits 3 or more Heroes, you gain 5 Annihilation. Master of Destruction (E): (Moved from Level 1) New Functionality: All Shall Burn’s final damage hits all enemies in a large area. Each hero hit grants 2 stacks of Annihilation. (New) Bombardment (Q): Casting Globe Of Annihilation increases your Basic Attack Range by 50% and can hit 2 additional targets for 3 seconds. Each hero hit by Basic Attacks empowered by Bombardment generate 1 Annihilation. (New) Brutish Vanguard (W): Demon Warriors gain 25% increased health and slow the movement speed of nearby enemies by 20%. (New) Cydaea’s Kiss (Q): Reduces the channel time of All Shall Burn by .5 seconds. 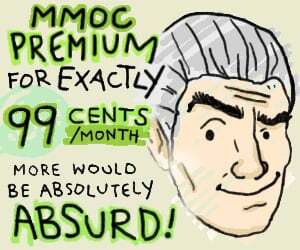 If All Shall Burn channels for its full duration on a Hero, Azmodan is healed for 5% of his maximum health. (New) Chain of Command (D): Demon Lieutenants increase the damage of nearby non-heroes by 25%. (New) Total Annihilation (Q): Globe Of Annihilation deals additional 3% max health damage to Heroes. Sin’s Grasp (E): (Moved from Level 4) New Functionality: Increases the range of All Shall Burn by 20%. If All Shall Burn channels for its full duration on a Hero, its cooldown is reduced by 4 seconds. (New) Hell Rift (E): If the channel lasts its full duration, a Demon Warrior is summoned at your target and your Demon Warriors deal 100% increased damage for 4 seconds. (New) Black Pool (R2): Tide Of Sin creates a Black Pool at the impact location, dealing light damage and reducing armor over 5 seconds to enemies in the area. (New) Pride (Q): After reaching 400 stacks of Annihilation, Globe Of Annihilation’s area is increased by 15% and its damage is increased by 100. (New) Trample (Active): Activate to dash a short distance, dealing damage and slowing enemies in the path. 60 second cooldown. It’s hard to believe that just two short weeks ago Gen.G was named the 2018 Mid-Season Brawl Champions at Dreamhack Summer in Sweden. HGC fans wanting their weekly dose of action will have to wait no further, as league play resumes this weekend! The caster rotation for Phase 2 will be identical to Phase 1, with Jaycie "Gillyweed" Gluck joining Josh "JHow" Howard for the first five weeks and Wade "Dreadnaught" Penfold tagging in for Gilly for the final five weeks before the HGC Finals. As Phase 2 begins, team records have been reset to 0-0, players have swapped rosters, and the next mountain to climb is within sight: the HGC Finals. With this blank slate in mind, here are the important matches you don’t want to miss during Week 1. After retiring a year ago, Tae Jun "merryday" Yi is returning to HGC Korea as Team BlossoM’s Support player. However, his debut also brings a steep challenge: his former team Gen.G. 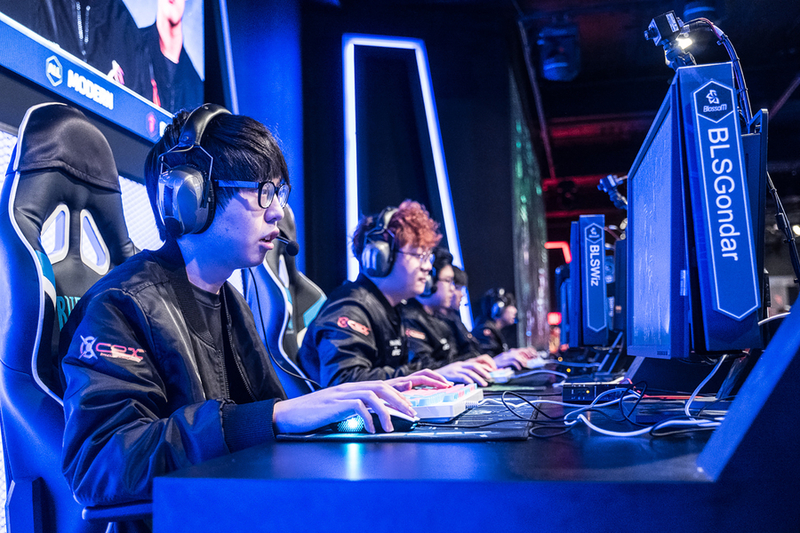 Hot off their Mid-Season Brawl win, Gen.G is the team to beat in not only Korea, but the entire world. Although rare, Team BlossoM has taken maps from Gen.G in the past, and nearly qualified for the Mid-Season Brawl themselves. If BlossoM takes a page from Team Dignitas’ playbook, they could put give Gen.G a tough homecoming. A year ago, Fnatic won the 2017 Mid-Season Brawl. This year they knocked out Method 3-2 in the lower bracket before being sent home by Team Dignitas 3-1. 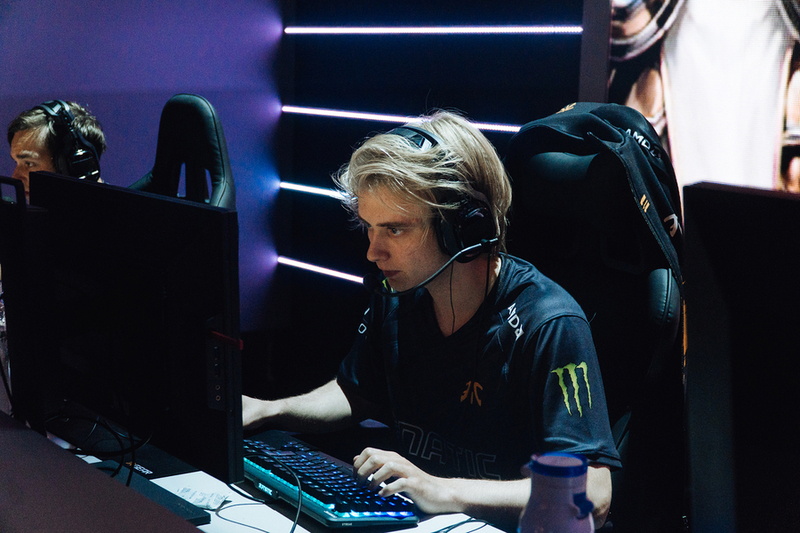 Fnatic has made some significant roster changes with the departure of team captain Dob "QuackNiix" Engström and the return of Simon "scHwimpi" Svensson. This shuffling will be put to the test right away in Week 1 against Team Liquid on Saturday. Always the bridesmaid, Team Liquid failed to qualify for both the Western Clash and Mid-Season Brawl in 2018. Keep your eye on this marquee matchup from Europe to see which team kicks off Phase 2 on the right foot. At the beginning of May, LFM Esports successfully defended their spot in the HGC by defeating XD 4-2 in the Crucible. While they ultimately ended Phase 1 with a 2-12 record, LFM showed sparks of potential, taking maps off Tempo Storm and HeroesHearth. They lacked consistency in the first half of the year but gained veteran Warrior player Manny "Fury" Medina for Phase 2. Will his guidance be enough to challenge the reworked Team Octalysis? They will be challenging a familiar face in Nicholas "Drated" Broyles, a former LFM player now on Team Octalysis. Don’t forget to pick up your tickets to the Western Clash! Be sure to tune in live here at playheroes.com/esports as Phase 2 begins this weekend. Matches kick off with Supernova making their HGC debut against Feliz on Friday June 29 at 2:00 a.m. PDT / 11:00 a.m. CEST. 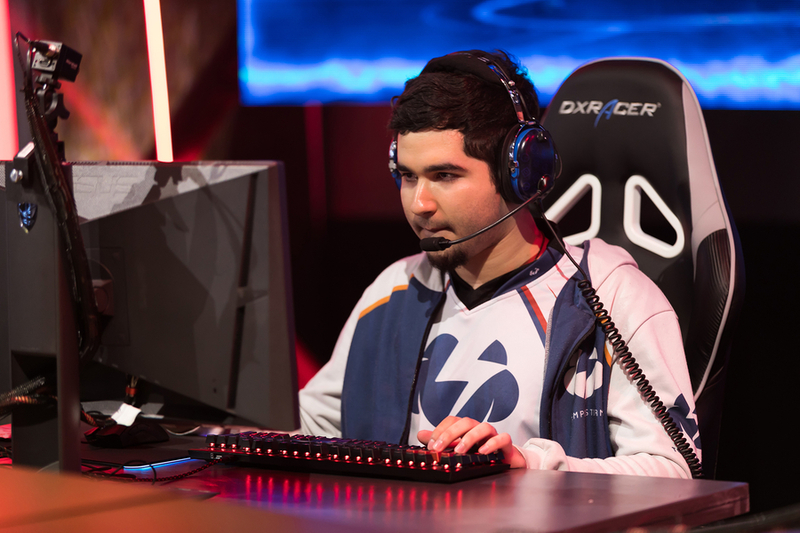 Note that we do not yet who replaces Psalm on Tempo Storm. *Note: Alongside this week's shop reset, Yrel's base gold price has been reduced to 10000 gold. Following Rise of the Raven Lord two months ago, the next chapter of the Nexus comics is upon us. 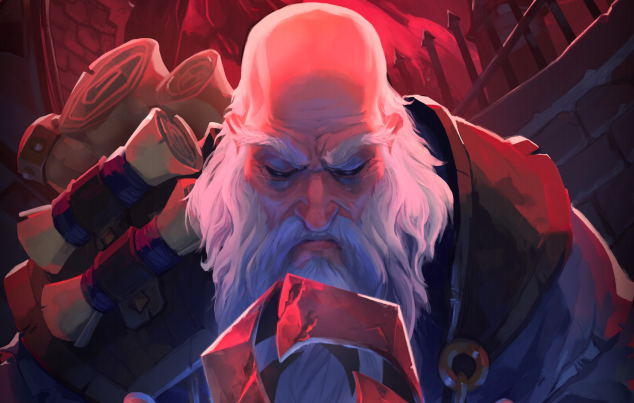 This time, we follow Deckard Cain as he travels the realm of King's Crest, belonging to Raena, the Lady of Thorns. Along the way, he meets up with Orphea, first mentioned in the previous comic. The name may ring familiar, as we datamined several hero icons of her earlier this month. Click below to check out Secrets of the Storm.